1Dept. of Poultry production, Fac. 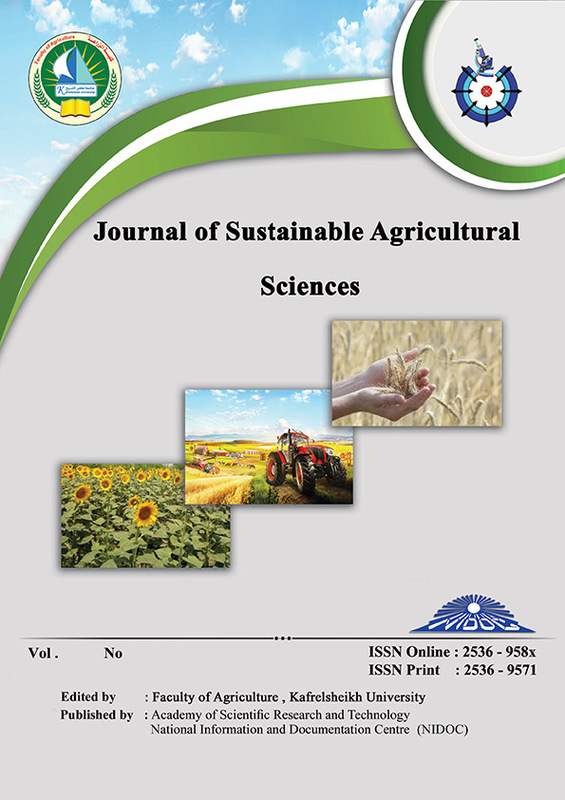 of Agric., Kafrelsheikh University, Kafr El-Sheikh, Egypt. The aim of this study was to investigate the effects of different stocking density and dietary phytobiotic on growth performance, body temperature, carcass traits and economic efficiency of growing APRI- line rabbits under heat stress condition. One hundred and eight APRI- line rabbits were divided and assigned randomly into nine groups of 5 weeks of age (620 ± 6g), each group with 12 rabbits. The experimental design was factorial 3 x 3, whereas three stocking densities (2, 4 and 6 rabbit/cage) and three levels of dietary phytobiotic (0, 0.5 and 1% lycopene). Results showed that the highest body weight was found in treatment 2 rabbits/ cage and rabbit fed diet with 1% lycopene. The best feed conversion ratio was found in treatment 2 rabbits /cage (3.32), followed by 4 rabbits/ cage (3.43), while the poorest value was determined in treatment 6 rabbits/ cage (3,68). The economic efficiency was decreased from 1.17 to 0.96 as the number of rabbits increased from 2 to 6 in the cages. Therefore, it could be concluded that under heat stress, raising rabbits in cages with low density and supplemented with 1% lycopene in diet gave the best productive performance and improved the economic efficiency. At the same time, raising rabbits in low density, permits for somewhat motor activity and social life which reflect on the meat quality and increasing the selling price.